No Zone Training is BACK! 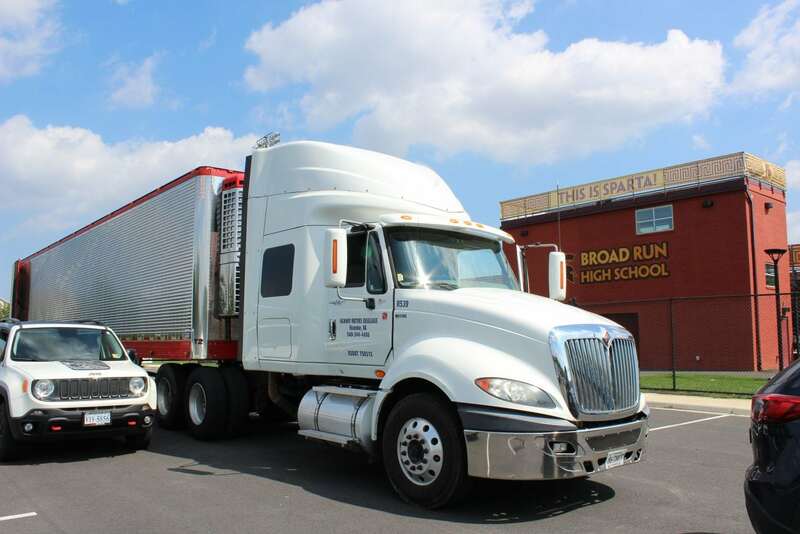 Our annual No Zone program kicked off to a great start yesterday at Broad Run High School in Ashburn, VA. Over the next month, one of our drivers will be taking this truck to 9 high schools in the Loudoun County area. 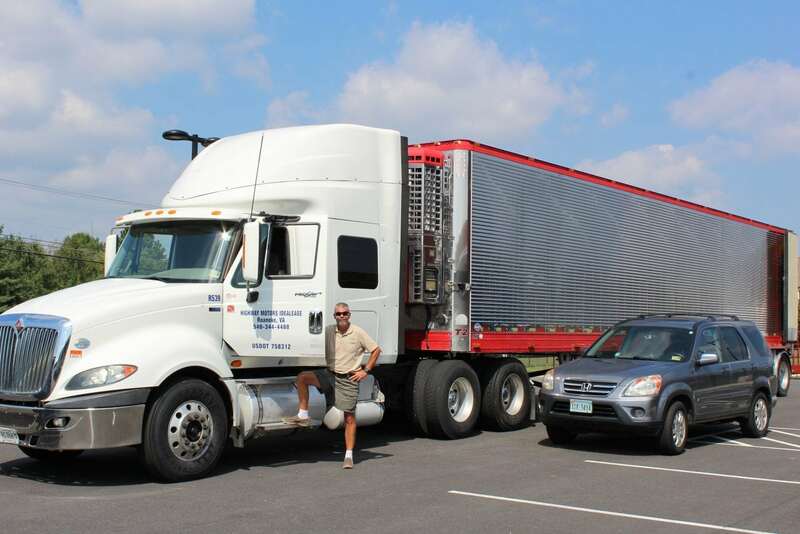 Students from these schools will get the experience of sitting in the driver seat of the truck and examining the blind spots (or, “No Zones”) around every semi truck. See the Jeep parked on the left side of the picture? That’s a blind spot for truck drivers! According to Mark Hardy, who heads up the No Zone training, this whole exercise is about getting students to think about the dangers of driving in the “No Zone.” Many of them are just beginning to take their drivers education course, so while they might not have experience driving around 18-wheelers, it is good to see things from a truck driver’s perspective BEFORE going out on the road themselves. 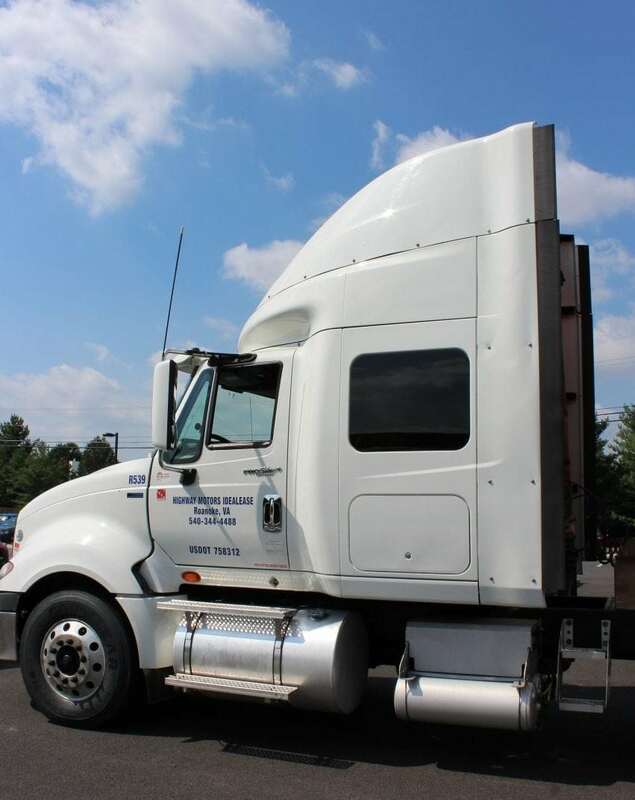 As part of the training, each student receives a brochure detailing the blind spots of large trucks, so that when they do get behind the wheel they are aware of how to pass, merge, and drive safely around semi trucks. We are grateful to our partners at LCPS, Shine Transportation, and Highway Motors for making events like this possible. We love our community!